“Most counterterrorism policies fail, not because of tactical problems, but because of a fundamental misunderstanding of what motivates terrorists in the first place,” begins a WIRED piece by Bruce Schneier entitled The Seven Habits of Highly Ineffective Terrorists. In his article, Schneier rejects the “strategic model” interpretation of terrorism, an economic model of rational behavior used by some social scientists and experts in matters of terror; he bases his analysis on a paper by Max Abrahms, a predoctoral fellow at Stanford University’s Center for International Security and Cooperation: What Terrorists Really Want: Terrorist Motives and Counterterrorism Strategies. Abrahms tries to show that this model, often applied to the study of terrorism, is unworkable by outlining seven “puzzles,” seven purportedly flawed assumptions about terrorism. He then proceeds to provide his own recipes to grasp and combat terrorism. Both the author and his commentator unfortunately proceed and outline yet another radical misunderstanding of the matter at hand. the “terrorism” they analyze has nothing to do with the historical and theological breeding ground from which it sprang. Thus, the word “jihad” does not appear even once in Abrahms’ treatment. Past the single-country, or single-object terrorist organizations, such as the Tamul Tigers’ LTTE’s claim on parts of Sri Lanka, ETA’s demands regarding an independent Basque land of Euskadi, or the IRA’s irredentist fight for the Six Countries of Ulster, it does not seem to have dawned upon either writer that the lion’s share of modern terrorism is Muslim, inspired by and committed in the name of jihad. Moreover, neither tries to look beyond the mere word of “terrorism” or “terror.” Their not uncommon reduction of terror to the terrorist act, or a string of such acts, at the expense of the etiology and substance of modern terror, is particularly damaging: what if terror, the Terreur first undertaken in the modern world by Robespierre and the French Montagnards in 1793, is a system of rule rather than a number of bombings and killings? What about the consciously-claimed filiation posited by Vladimir Lenin regarding the Cheka’s terror, from January 1918 onward? What of the Gestapo’s reign of terror, just as the others a principal and fundamental means of terrorizing and cowing an entire society? Can we apply this concept to contemporary, Islamic terror? Can we furthermore go past a study of the means to a study of the ends? Jihad then comes into play. Abrahms’ “puzzle #1” enunciates as a given that “scholars have questioned the rationality and motives” or terrorism because terrorist violence against civilians purportedly has failed to reach political goals. But the analysis blithely ignores two foundational cases where terror actually won the aims it had assigned itself: the Algerian FLN, which was a miserably ineffective military force, and one that was mopped up by the French military, won the Algerian War largely by dint of systematic slaughter of civilians, French and Muslim alike. The PLO gained control of the Gaza strip and the West Bank from Israel mostly by dint of a sustained campaign of terror. Bother were symbols of and models for innumerable terror groups – including the radical Islamist mujahideen gathered in Pakistan and Afhanistan. Omission or blindness, the analysis breaks down. The “strategic model” may be flawed, Abrahms’ no less. In both cases, the problem lies with the casual and slapdash application of various academic theories (rational choice, decision theory, Weberian categories, etc.) to the subject regardless of the substance of matter – the history, theology, law and sociology of the world of Islam. Abrahms has found that “[p]eople turn to terrorism for social solidarity. He theorizes that people join terrorist organizations worldwide in order to be part of a community, much like the reason inner-city youths join gangs in the United States” (in Schneier’s summary). There again, a little bit of history might have helped: people join organizations in general, from North to South Pole, for reasons of “social solidarity.” The desire to be “part of a community” applies to people who join the bird-watchers’ association, members of the local football team and union members: what does the striving for social solidarity teach us about terrorists that we did not know? More so, is it, as Abrahms suggests, the crucial contributing factor – and to what? The reason(s) individual join a group does not exhaust the nature and purpose of that group; it only sheds some light of the joiners’ motivations. Bafflement led to exploring a number of different avenues to understand the dynamics of this bloodlust. 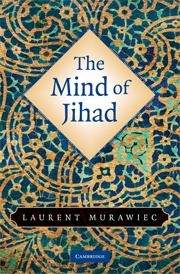 It came as a surprise that the belief-structure (as distinct from the belief-content) of contemporary jihadis much resembled that of Europe’s medieval Millenarians, whose insurgencies mobilized tens of thousands at a time the whole length and breadth of the continent: they were Gnostic believers, seeks of the Apocalypse, their doctrines were messianic. They believed themselves to be invested by God by a stupendous, cosmic mission that they alone knew, and rebuild society, and earth as a whole, along the lines of their Utopian venture of Kingdom come. They were above the common norms of mankind, they were The Law unto themselves, and God wanted these Elect to shed torrents of blood to realize His Plan. 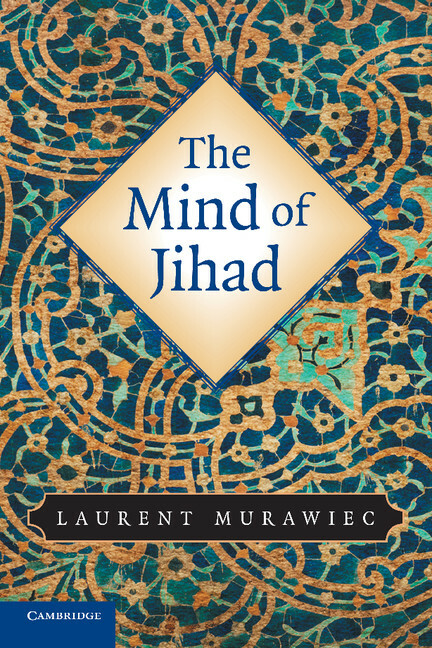 Whoever has studied the writings of the leaders and doctrinaires of modern jihad – Hasan al-Banna, Abu Ala Maududi, Sayyid Qutb, Ruhollah Khomeiny, Ali Shariati – will easily recognized the kinship, beyond the difference in religious and cultural terms of reference. In huge numbers, rural and urban masses, their lives dislocated, their alienation extreme, their confidence in any institution shattered by social chaos, rose up behind messianic leaders.